Scientists at Plant and Food have been beaten to market for sale of red-fleshed apples, despite mounting a campaign to promote their own GE product and suggest it is ï¿½forbidden' as an excuse to weaken regulation of novel foods. It is misleading to claim that new products are forbidden, because the food and environmental regulations do not forbid GMOs, but require safety testing of novel foods. The public expects responsible oversight of genetic engineering and there are good reasons to regulate new gene editing (GE) technologies. 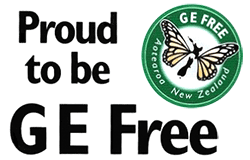 New Zealand is leading the way in sustainable non GE farming and the CRI scientists should not be continuing expensive and unproven GE technology, or promoting its deregulation for the reason that it is fast at creating new varieties. The global demand for Non-GMO products is growing because of the desire for natural, organic safe food and sustainable agriculture. Industry cannot be left to police themselves, it is a chorus of vested interests that is demanding gene-edited products have no regulation. ï¿½After the many failures and breaches of their field trials it is wrong to be calling for abolishing regulation and safety protocols. Further it is hard to trust that the desire for cost recovery through patents will prioritise rigorous safety testing protocols,ï¿½ said Mrs. Bleakley. New Zealand's GMO regulations for food and environmental safety are vital to protect the country and New Zealand's reputation as a premium food producer.